There aren’t many modern video games that have left quite the indelible mark as Shadow of the Colossus. While gaming today is arguably better than it’s ever been as a whole, it seems that for whatever reason – whether it be outlandish hype, the “bigger is better” mentality, or a tendency to pander – the number of more contemporary games that feel like they have their own timeless identity are few. Half-Life 2, the Portal duo, the Souls-Borne series, the 3D Mario titles, Breath of the Wild, and select indie titles (namely Undertale) stand out. Shadow of the Colossus similarly stands tall alongside them and, although probably a more flawed game than any of the aforementioned titles, has perhaps left the biggest impression in terms of style and tone. As influential as it’s become, there’s never really been anything else quite like it. This Playstation 4 remake by BluePoint Games is the title’s third release, all but enforcing Shadow of the Colossus’ status as one of the most iconic Playstation games ever. Similar to Crash Bandicoot: The N. Sane Trilogy last year, this PS4 rendition of Shadow of the Colossus is a faithful recreation of the PS2 classic, which means that, although the assets have been rebuilt from the ground-up and boast some absolutely stunning visuals, some of the game’s flaws still remain intact. For purists, the authenticity is commendable, though you may also wish that BluePoint Games had tweaked the rougher mechanics ever-so slightly, to give Shadow of the Colossus a level of fluidity to match its uniqueness. Shadow of the Colossus has become something of the poster-child for the whole “video games as art” concept, and although there are plenty of other games that showcase the unique artistic merits of the video game medium, Colossus’s status isn’t undeserved. While many of the games released in its wake have felt confused as to how to implement their artistry within game design – usually being either AAA games that think replicating movies is the way to go, or self-righteous indie titles that think a somber tone and visual style make up for shallow gameplay – Shadow of the Colossus actually feels like a fully realized creative vision. The core game is as it’s always been. You play as Wander, a young warrior whose love has died. Willing to do anything for her, Wander takes the girl’s lifeless body to an ancient temple in a forgotten land, in hopes that an ancient being called Dormin can resurrect his lost love. But Dormin cannot undo death without a cost, and the demon needs Wander’s help just as much as Wander needs Dormin’s. 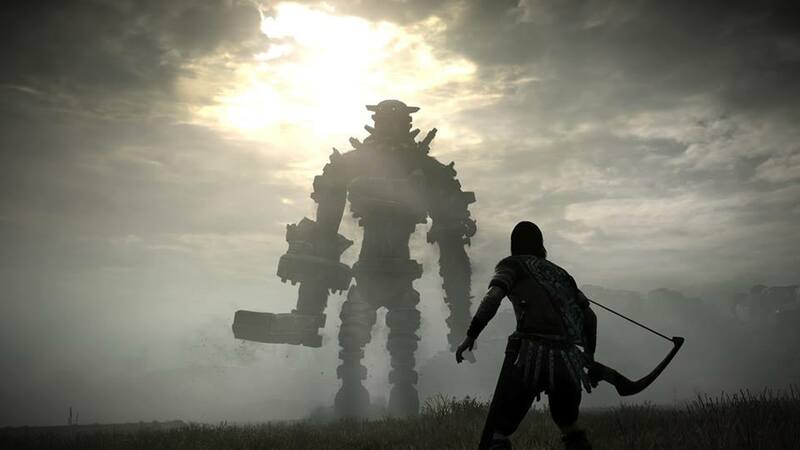 Wander is to scourge this forgotten land of the sixteen Colossi, magnificent giants who remain some of gaming’s greatest creatures. If Wander can slay the sixteen Colossi, Dormin can resurrect his fallen love. It sounds like a simple setup, but its execution transcends it into one of gaming’s greatest stories. What starts off as a selfless quest built on love transforms into a selfish tragedy. The Colossi – despite their intimidating size and appearances – are never presented as monsters. Instead of the usual fanfare one would receive for conquering a boss fight, the slaying of a Colossus is always accompanied by grief and sadness. One of the things that made Shadow of the Colossus so special is that – unlike the many games that try to be art by throwing in as many cinematics as possible – Shadow of the Colossus weaves its narrative and lore into something that could only work as a video game. Shadow of the Colossus, at its heart, is a giant boss rush. Every Colossus is a beautiful combination of boss fight, puzzle and stage design. Climb the Colossi, expose their weak points, slay them, return to Dormin, repeat. Again, it all sounds simple, but the creativity involved within each Colossus makes every encounter something special. You can unlock Time Attacks for each Colossus, which then rewards upgrades to your weapons and grant new items. You can also find fruit and hunt down silver-tailed lizards to boost Wander’s health and stamina (respectively). All the while your trusted horse Agro helps you traverse the land. It’s actually quite beautiful how it all comes together. As stated, the game is an extravagant boss rush on paper, but Shadow of the Colossus is one of the rare “art games” that understands how to meld its world and thematics into its gameplay as one cohesive whole. Save points, for example, were presented as shrines scattered across the land (though the shrines now merely restore health in the PS4 version, as saving is now done automatically or manually through the pause menu in a delightful bit of modernization). Even the aforementioned Time Attacks take the form of visions/memories that take place within Dormin’s temple. The game’s unique world always finds ways to mold into its gameplay. 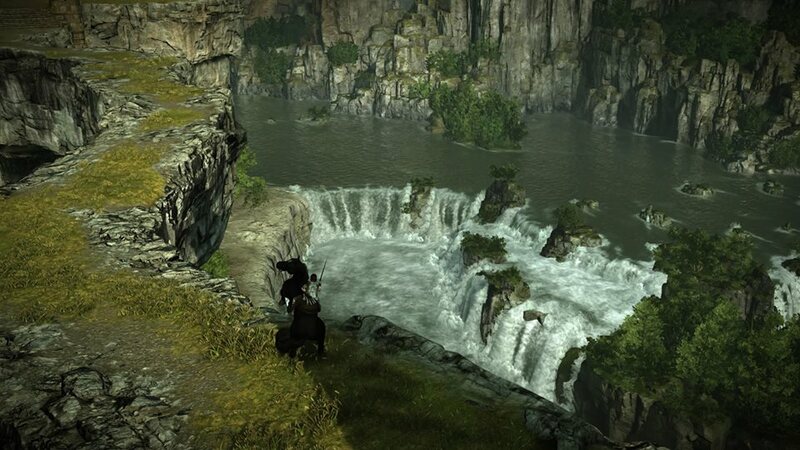 So what’s new about Shadow of the Colossus’ third release? Along with the aforementioned streamlined save feature, some tweaks have been made to the control scheme for the better. The X button now serves as Wander’s jump button and to mount Agro, while the triangle button calls your stead and boosts Agro’s speed when mounted. The most obvious change is found in the aesthetics, however. Unlike the PS3 release, this isn’t just the PS2 original with an HD makeover, but a from the ground-up recreation of the PS2 classic. This means that, although Shadow of the Colossus may be a PS2 title from 2005, you may never know it if this is your introduction to the game. The attention to detail on a Colossus’ fur, the individual blades of grass blowing in the wind, the ripples in every pool of water; Shadow of the Colossus, and indeed few games, have ever looked so beautiful. In terms of sheer realism in the environments, I’d say this PS4 remake is second only to Uncharted 4 as the best looking game I’ve seen. For a 2005 game to look this stunning is telling of just how much care and attention BluePoint Games put into this remake. Even the game’s iconic musical score sounds crisper than ever, and the added sounds that emanate from the environment and Colossi only add to the game’s atmosphere and sense of awe. Additionally, a new collectible can be found in the form of glowing “Enlightenments,” though finding them all and unlocking their questionably useful reward may only be worth the time for the most diehard of fans. Another fun little addition is a new “photo” option, which allows you to take screenshots within the game and share them on social media. It may not sound like much, but with how utterly gorgeous this remake is, you’ll likely bask in the opportunity to take the best photos of the game’s unique world and its tragic giants. If there is a downside to this remake, it’s that the original’s blemishes in control and camera largely remain. Thankfully, you no longer have to worry about drops in the framerate, and as stated, some of the controls have been wisely mapped to different buttons. But some of Wander’s movements and actions still feel a little clunky, and when wrestling with a Colossus, the camera can still get utterly chaotic at times, which may still lead to some frustration and swearing (emotional reactions that seem like the last responses the game wanted to create). Sure, you can praise the authenticity of the recreation, but you may also begin to question if such authenticity is the best option when the years since the game’s original release have revealed how it could be bettered. I’m not asking for unnecessary, George Lucas-style additions here (no Dewbacks, please), and in terms of video game preservation, I get it. But a key difference between video games and other mediums that see remakes is that games feature interactive mechanics that, over time, can be bettered. 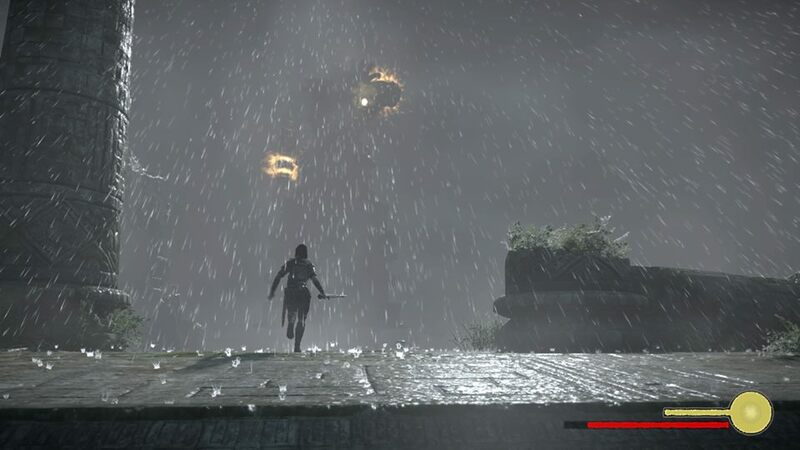 If BluePoint Games were willing to change the way Shadow of the Colossus controls in terms of player input, you kind of wish they’d have done the same for the way Wander and his camera control. At the very least, an additional option would be nice. So Shadow of the Colossus was never a perfect game, and that’s still true here. That’s a bit of a shame, because the uniqueness and execution of much of Shadow of the Colossus’ vision make it a gaming experience like no other. With the additional technical polish, Shadow of the Colossus might sit with some esteemed company at the very top of the mountain of gaming’s all-time greats. As it is, it’s still making the climb up that mountain. But Wander shouldn’t have any trouble in that department. A really thorough and well thought out review. I’m one of the few who has never played any of the Shadow of the Colossus games but have full intentions of giving this version a solid go. Thanks for the great read! This is a game on my long list of games to buy in the near future. I’m very excited to replay through this game, having mostly missed the PS3 upgrade. I’m happy that they seem to have hit the mark in bringing the game up on modern systems. While not one of my all-time favorites, I admire Shadow for Colossus for grasping that certain something that many art games (such as Braid or Limbo) have utterly failed to comprehend. It’s vague, but not obtuse. It’s artsy, but not pretentious. It’s minimalistic, but it doesn’t use it as a shield to disguise a one-dimensional experience. I would still say Shadow of the Colossus is probably my favorite “art game” (unless Undertale counts). It’s baffling to think that, despite how many developers try to site it as an influence, they completely miss what made Shadow of the Colossus work. If there’s any downside to its influence (though it would be unfair to pit this all of SotC), it’s that some people will dismiss games that aren’t trying to be artsy, because lord forbid a game just try to be fun. It’s like people don’t realize that something doesn’t have to be artsy in order to be art. I would say Shadow of the Colossus is somewhere in my favorites, and when I eventually get around to making my long-promised list, it will definitely be one of the few non-9.5/10 games to be on there. But it is definitely a flawed game to be sure. In fact, it’s inspired me to make another such list soon of my top 10 “Flawed” video games (that is to say, games that I feel are definitely worth playing, despite glaring flaws. And they may even include games in the 8.0 range). Shadow of the Colossus may be more associated more with the art game genre, but Undertale definitely counts as well. It is indeed my favorite art game so far simply by virtue of being far more personable than its peers, most of which tend to talk down to you. Undertale only talks down to you if you do bad things. Why hasn’t any other artist grasped this simple concept? If it counts, another good one is OneShot, so if you haven’t, try giving that one a spin. Yeah, Shadow of the Colossus could very well be an example of a good game that had a bad influence on the medium. It’s not to the point where I would say it made things worse overall, but it along with Roger Ebert’s screed arguably caused the critics to conform to the (frankly) conservative standards of their artistically driven peers in other mediums, which is too bad because what made video games so great was that they didn’t play by anyone else’s rules. Now that this new version is making the rounds, it’s about time I finally got around to reviewing Shadow of the Colossus. I should be able to handle it now that I have more experience writing reviews than when I wrote that piece about Ico.